Help Willy save the castle in a Hidden Object game like no other! Help Willy save the castle! 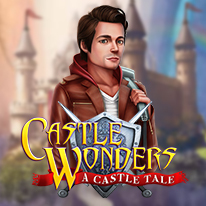 Look for Hidden Objects, collect antique relics, restore the throne room, all to rescue a once magnificent castle! Renovate the throne room with your hard earned money and restore this broken down castle to its former glories. Make the castle the pride of the kingdom once again!